The University of Port Elizabeth has the biggest campus in the southern hemisphere. The University of Port Elizabeth (UPE) offers students a wide choice of stimulating and market-oriented courses, opening up a variety of career opportunities. Academic support, the opportunity to participate in cutting-edge research and relevant community services, and a variety of sporting and social activities are all part of the package at this vibrant university. Our vibrant, multicultural student population makes UPE one of the most racially, culturally and linguistically diverse universities. The increasing number of international students contributes to this diversity. UPE is located in Port Elizabeth, a port city with a strong industrial sector and an important centre for the South African motor industry. PE boasts interesting architectural and historical sites, beautiful beaches, excellent sporting facilities and a vibrant cultural life. The Eastern Cape is malaria-free and has numerous game reserves where game, including the ‘Big Five’ (elephant, buffalo, lion, leopard and rhinoceros), can be viewed. 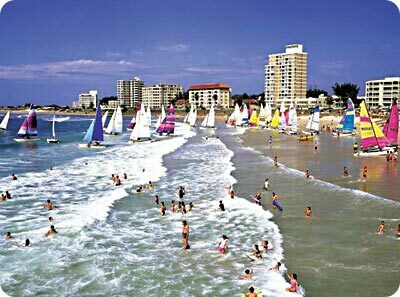 Port Elizabeth has more sunshine than any other coastal town in South Africa and temperatures are moderate all year around. 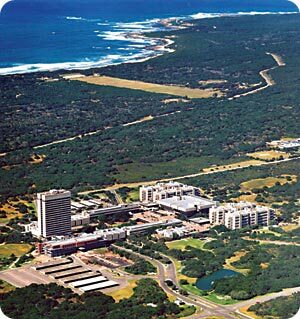 The University of Port Elizabeth has the biggest campus in the southern hemisphere and it is the southernmost in Africa. It enjoys a unique location in a nature reserve and is close to the sea. The 830-hectare nature reserve protects one of the most threatened fynbos habitats and is home to many species of birds, mammals, reptiles and amphibians. The University of Port Elizabeth was founded in 1964. Today, it has more than 8 000 contact students, with the Faculty of Economic and Building Sciences being the most popular. In addition, over 10 000 students throughout Southern Africa are enrolled via distance learning. UPE prides itself on being at the forefront of the political and educational transformation of higher education in South Africa. A proactive approach to transformation has resulted in a peaceful, stable campus environment where students and other stakeholders play a significant role in decision-making. The University is committed to providing students with equal opportunities for access to tertiary education, and ensuring that everyone has a chance to succeed in their studies. UPE operates on a semester system. The academic year starts at the end of January and this first semester ends in June. The second semester runs from July to November. Pogrammes are modularised and international students may choose to enrol for either a full degree programme or selected stand-alone modules. Courses are offered in six faculties: Arts, Education, Economic Sciences, Science, Law and Health Sciences. Degree and diploma programmes are offered at undergraduate, Honours, Masters and Doctoral level in all faculties. All the institution’s qualifications are internationally recognised. UPE's academic programmes are designed to equip students with the knowledge and skills in demand in today's workplace. The UPE Advancement Programme (UPEAP) is a one-year foundation course for students who do not meet UPE’s standard admission requirements. UPEAP bridges the gap between school and university and provides students with a solid foundation for success in their degree studies. The UPE website www.upe.ac.za has been upgraded with comprehensive information on academic programmes, curricula and syllabi. One can access a timetable for each module, with a map to the lecture venue(s). The basic entrance requirement for undergraduate studies is a matriculation exemption certificate or equivalent. Some subjects have certain minimum requirements. Holders of international school-leaving certificates must provide original certificates (or copies certified by a South African embassy, consulate or trade mission) to the University for submission to the Matriculation Board. For admission to postgraduate studies (Honours/ Masters/ Doctoral degrees), the University may require an evaluation of the student’s previous qualifications. Students who wish to enrol for selected modules, and not for a full degree, will be registered as visiting students. Such students are required to have a school-leaving certificate or equivalent qualification. Applicants from non-English speaking countries must submit proof of English proficiency. Application forms are available online at www.upe.ac.za or from the Office for International Education. Students can get involved in community outreach projects and have access to various sporting and social activities. An indoor sports centre, a sports stadium, international-standard athletics track and a covered heated swimming pool are among the sporting facilities which cater for a wide range of sports at both competitive and social levels. Sport for the disabled is also offered . UPE offers a vibrant international student culture. A number of societies operate on campus, giving students the opportunity to make friends and interact with students with the same interests. These student societies cover a wide range of academic, religious, social and recreational interests. UPE’s choir has claimed international success and was one of the first multicultural choirs in South Africa. Student media includes a campus newspaper and a youth community radio station. UPE's modern campus offers convenient facilities including a well-stocked library, information technology infrastructure, laboratories and scientific equipment, cafeteria, tuck-shops and second-hand book/stationery shop. Health services include a campus clinic and the Unit for Student Counselling (trained counsellors assist students with academic, career and personal issues). Faculty of Arts: The Faculty of Arts incorporates the schools of Languages, Music, and Social Sciences & Humanities. The traditional Bachelor of Arts has been replaced with career-oriented programmes in fields such as Media, Communication & Culture, Human Resource Management, Public Administration and Music. Bachelor Degree Programmes: Languages; Media, Communication & Culture; Social Sciences (Anthropology, Geography, Political Studies, Psychology, and Sociology); Human Resources Management; Public Administration and Music (Education, Performing Arts, Music Technology). Diplomas are offered in: Music Education and Music Technology. Faculty of Economics & Building Sciences: The Faculty of Economic Sciences includes the building disciplines of Architecture, Construction Management and Quantity Surveying. Bachelor Degree Programmes: General Accounting; Chartered Accounting; Business Management; Human Resource Management (Industrial & Organizational Psychology); Computer Science & Information Systems; Computer Science & Information Systems & Statistics; Marketing Management; Law; Sport & Recreation Management; Economics & Statistics; Small Business Development; Architecture; Construction Studies and Quantity Surveying. The Faculty of Education: Bachelor Degree Programmes: Foundation Phase Education (grades 1-3) and Intermediate Phase Education (grades 4-7). The Faculty of Health Sciences: Bachelor Degree Programmes: Psychology (General, Counselling & Sport Psychology); Human Movement Sciences; Sport Science & Recreation; Social Work; Youth Work; Nursing Science and Pharmacy. Diplomas are offered in: Exercise Science. The Faculty of Science: The Faculty of Science covers the biological, earth, mathematical and physical sciences. Bachelor Degree Programmes: Biochemistry; Chemistry; Physics; Botany; Microbiology; Zoology; Mathematics & Applied Mathematics; Mathematical Statistics; Computer Science & Information Systems; Information Technology; Geology; Geography and Information Technology. Arts (Anthropology, Christian Studies, Conflict Management, Development Studies, Labour Relations & Human Resources, Media Studies, Public Administration, Sociology, South African Literature, and South African Politics & Political Economy); Economic & Building Sciences (Labour Relations & Human Resources, Taxation, Built Environment); Education (Masters in Education); Health Sciences: (Specialized Nursing, Industrial Pharmacy, Clinical Psychology, Counselling Psychology, Psychology, Clinical Social Work, Social Development & Planning); Law (Masters in Law, Criminal Justice, Labour Law, Tourism Law, Taxation); Science (Only Research Masters). The University of Port Elizabeth is home to specialist expertise in a number of areas. UPE’s Institute for Coastal and Environmental Management is nationally renowned for its work in marine ecology and environmental management. The Department of Computer Science and Information Systems offers postgraduate students the opportunity to participate in multimedia applications, computer-assisted learning and the development of a virtual campus and virtual classrooms on the Internet. Interdisciplinary studies in the humanities and social sciences address important social and political issues. The University is also highly regarded for its work in labour relations and labour law. Other specialist programmes include health and welfare management, educational management and curriculum development. Areas of excellence include Accounting, Business Management, Pharmacy, Nursing Science, Law, Architecture, and Media, Communication and Culture. A recent addition to the University’s centres of excellence is the Centre for Tourism Studies in cooperation with the Shamwari Game Reserve. At UPE we have a wide range of quality academic programmes developed to create leaders in a vast array of professions. UPE empowers students with top academic and internationally recognised qualifications. UPE is one of the most racially, culturally and linguistically diverse universities in Southern Africa. UPE enriches its students through a vibrant social network and academic support. UPE is a learner-centred and flexible institution that values life-long learning and recognises prior-learning. UPE prepares students to become global players. UPE is a smaller and more progressive university committed to the development of the community it serves. UPE enjoys a unique location in a nature reserve and is close to the beach. The University of Port Elizabeth (UPE) welcomes international students on-campus. We believe that international students enrich our institution and make possible a diversity of views and cultural values both in and outside the classroom. Currently, there are over 1 200 international students registered from approximately 60 countries at the University. UPE's Office for International Education assists international visitors and students with information on international travel, visas and academic studies. The support network is comprehensive and visitors and students can feel confident that they will be made welcome and be looked after during their time at UPE. The Office for International Education will soon relocate to new offices and will be renamed as the Centre for International Education. The Centre, which will include a coffee shop, will also serve as a meeting place for international and local students. The Office for International Education offers a full suite of services to International students. It is well-resourced with 12 full-time and half-day staff members as well as a number of student assistants and interns. Enquiries, admissions and registration: The Office for International Education is responsible for the admission of all international students into UPE. The office answers all enquiries and processes admission forms. Pre-registration and registration are also part of the service offered. Finance: The Office for International Education has a dedicated finance department to deal with payments, student accounts and financial matters. Study Permits: Students are assisted with study permit applications and the renewal of temporary residence and study permits. Accommodation: The Office for International Education assists international students in finding accommodation. International students can find housing in modern comfortably furnished apartments in the International and Postgraduate Student Village, UPE houses or residences on campus. The Student Village and UPE houses are located about 20 minutes walk from campus, close to the beach and a shopping mall. The residences are within walking distance of each other and the main UPE campus. Important information: The Office for International Education provides advice, information and materials on courses, admission and registration, as well as health, safety, visas and living and learning effectively in South Africa. The Office for International Education’s website and a detailed Pre-Arrival Booklet are both excellent sources of information for students. Arrival and orientation: The Office for International Education meets students at the airport and above all, assists them in adjusting to their new environment. It provides new students with an orientation programme which focuses on providing vital information. This includes a tour of the campus as well as of Port Elizabeth. As the UPE also offers a comprehensive orientation programme to all UPE students, international students have the opportunity to meet and interact with South African students during orientation programmes. beautiful beaches and a vibrant cultural life. There is a choice of two English skills programmes, namely, a semester-long programme and a one-month programme for non-English speakers. The Office for International Education organises events and excursions in conjunction with various UPE societies (including the International Student Society), the SRC (Student Representative Council) and Cultura. An annual highlight is ‘Culture Week’. This is an opportunity for different cultural groups to show off their traditional clothing and talk about their customs and traditions. A variety of traditional foods can also be tasted. The Office for International Education has a full-time programme on diversity and integration of cultures. The ‘Sharing Cultures’ Project is a joint project between UPE and Columbia University, USA. The office also has a full-time researcher. One of the office’s ongoing projects is exit questionnaires which provide information on students’ experiences at UPE. Study Abroad and Exchange students have a choice of courses. The transcripts of their academic records can be adapted (i.e. UPE credits can be translated into ECTS or American University-related credits). The Office for International Education also assists South African students to participate in exchange programmes. The University of Port Elizabeth has numerous official linkages. The Office for International Education fosters international relationships and manages inter-institutional linkages. It brings international perspective to the University community through external linkages with international universities.